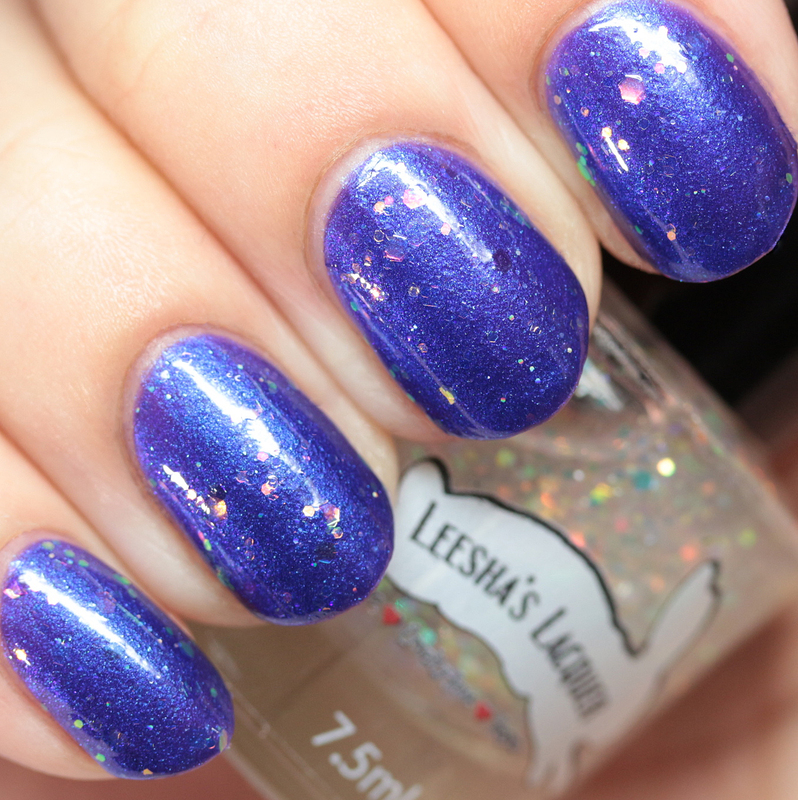 Leesha's Lacquer has a new collection coming up that will interest shifty polish lovers! The Multichrome Collection releases on January 27 and features a variety of multichrome-type finishes, including shimmers flakes, and glitter. Let's have a look at the goodies! I'll start off with some formula notes since there were similarities for all. The base Alicia uses is wonderful - it dries very fast and hard, but it also seems to have excellent wear time. 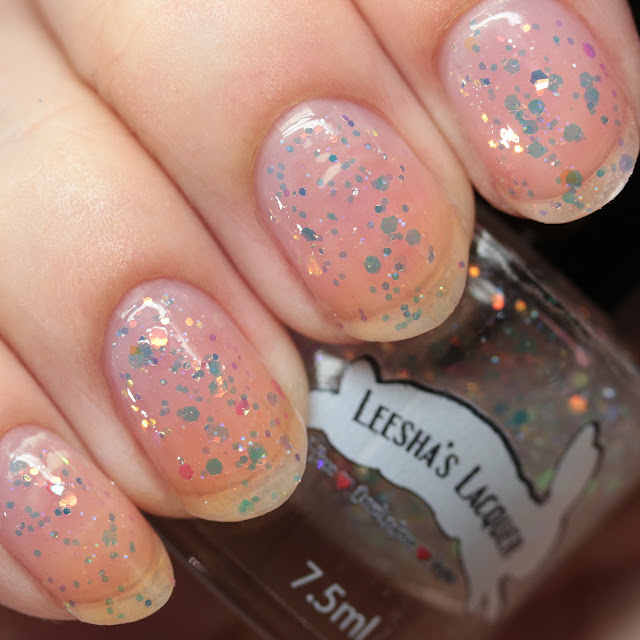 I tested every one of these polishes in full manis and was pleased with how they performed. I wore all of them in four coats (three would have worked for most people), but Alicia mentioned that she was going to make the final production versions more opaque, so you can expect two coaters in the final release. I used mini bottles and they were great - the brush was a nice size and the bottles were sturdy and easy to handle. The brush stem was shorter than a full size but worked well for me. Now on to the colors! 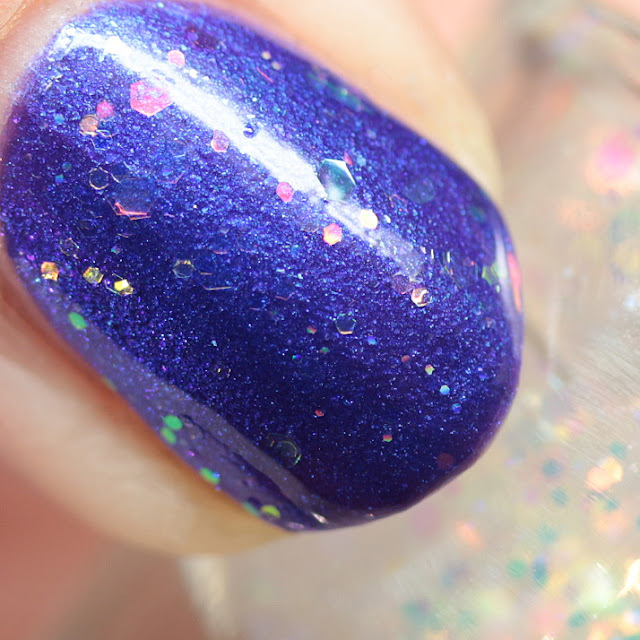 Glass to Meet You has blue-magenta-gold microflakes and green-magenta-gold flakes in a black jelly base. 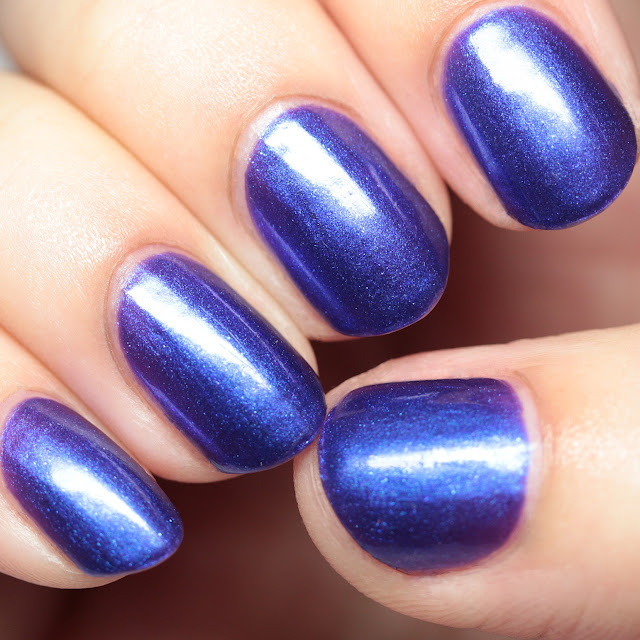 Good Morning, Glory has electric blue shimmer and green-to-magenta duochrome microflakes in a royal purple base. Man, does this one have fire to it in real life. It absolutely glows more than pictures can show. 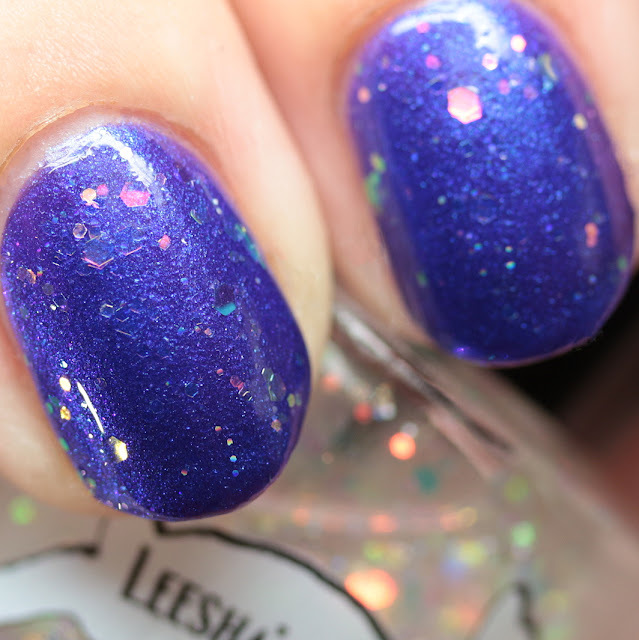 Opalescence has red-to-indigo multichrome iridescent glitter in a clear base. I tried it both on its own in four coats and in two coats over Good Morning, Glory. 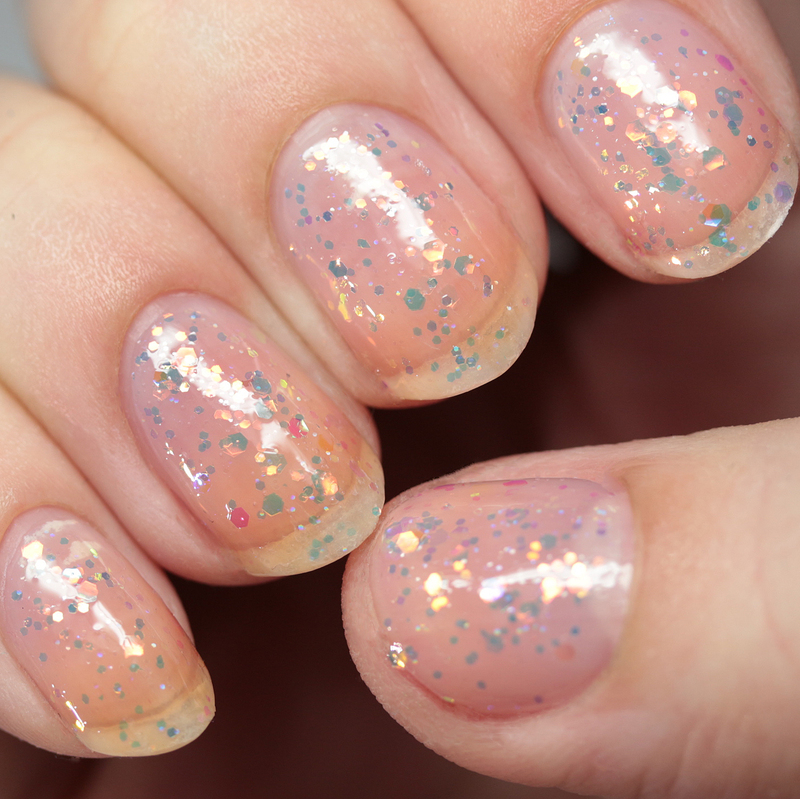 Here is Opalescence in two coats over Good Morning, Glory. What a perfect combo! Rainbow Rd. 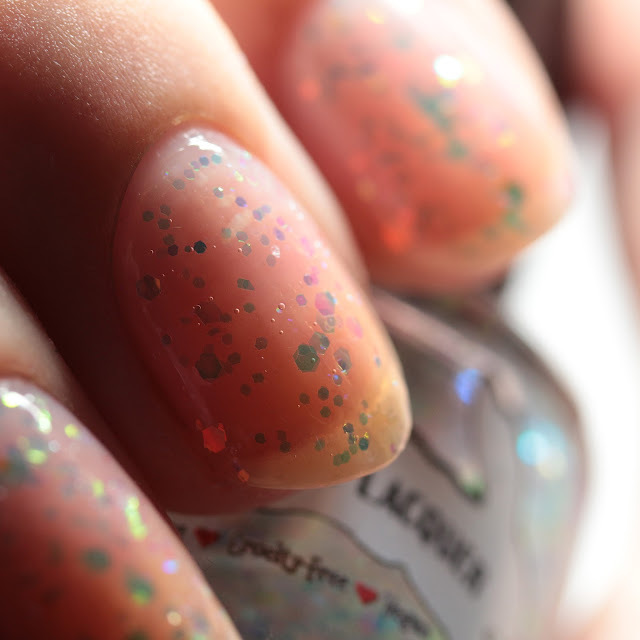 is much like Glass to Meet You, but with a different flake combo. Here the shifts are blue-to-gold microflakes and magenta-to-green large flakes. 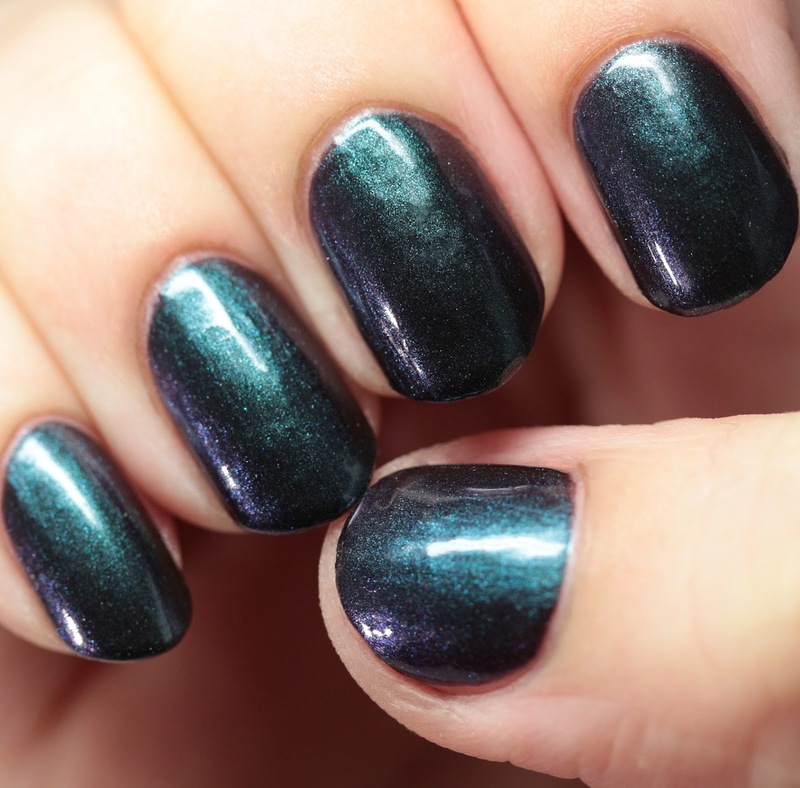 Finally we have the multichrome shimmer of the group. 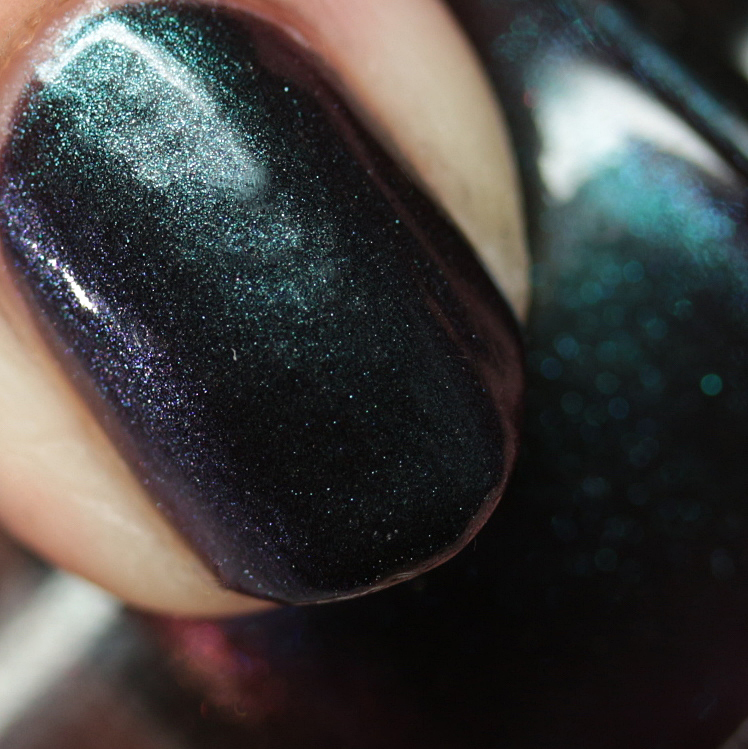 Scarab Crow has teal-purple-red-gold shimmer in a black base. The shift is readily apparent but not overly metallic-looking, so there are no brushstrokes. Due to the shimmer quotient, I recommend thin coats to prevent bubbling. 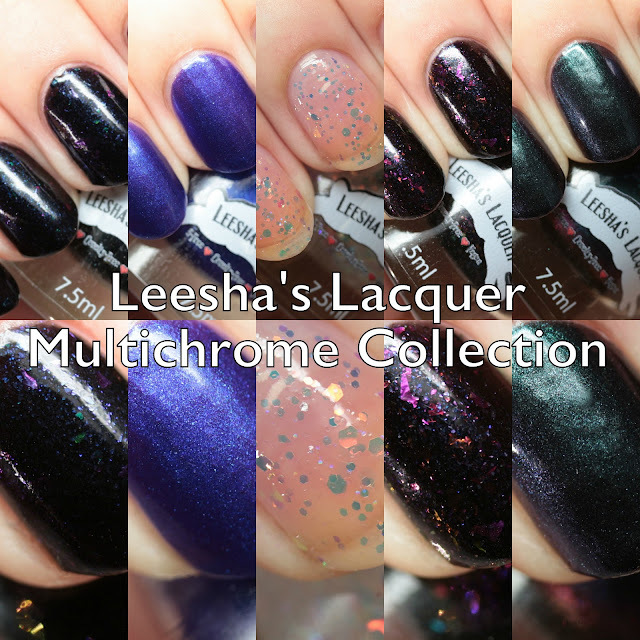 That wraps up Leesha's Lacquer The Multichrome Collection. 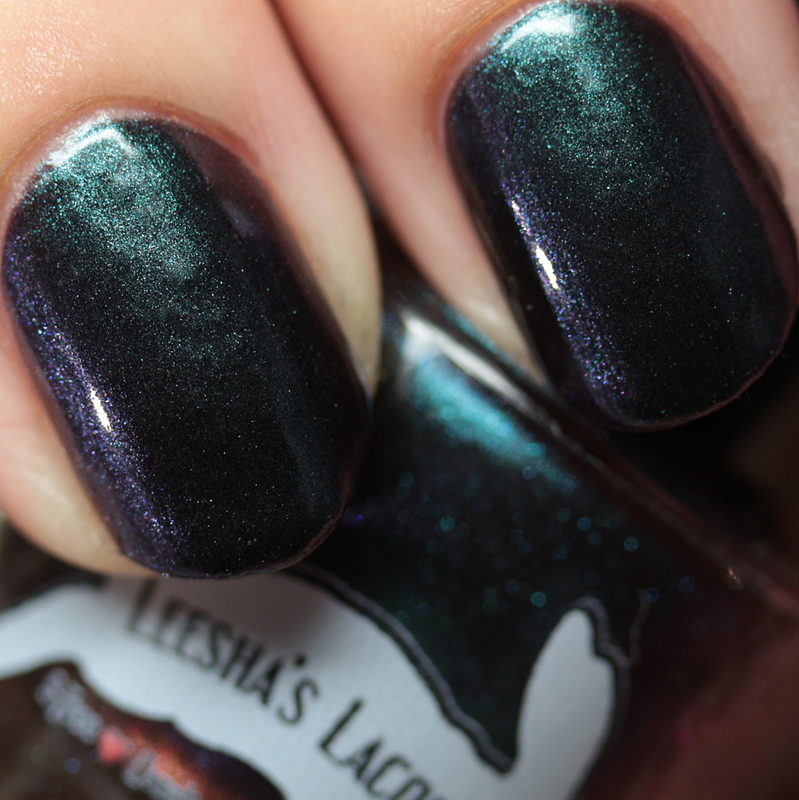 It releases on January 27, featuring five shades as shown here. I think I loved all of them equally and they were fun to wear for a week! See any you like? Also, Alicia has decided to run a giveaway of a full sized bottle of Opalescence on her Instagram to celebrate the launch of the collection and her birthday. Happy birthday, Alicia!